Like most graduate students in art history, I focused my doctoral and postdoctoral research on a relatively narrow topic. In my case, I studied the history of printmaking in the sixteenth and early seventeenth centuries, as well as the relationship between Renaissance prints and other media. Recently I became the assistant curator of prints, drawings, and photographs at the Rhode Island School of Design (RISD) Museum, but I have long had the sense that I was missing a comprehensive foundation in drawings. For instance, as a doctoral student, I learned about drawings piecemeal, almost incidentally. Usually, I engaged with them insofar as they related to prints, or provided evidence for a larger art historical argument. Furthermore, the thorny field of drawings connoisseurship (the discipline concerned with the assessment, attribution, and appreciation of works of art) seemed unapproachable, with no obvious “way in.” The universities I attended did not offer introductory courses on the history of Western drawing, and there are real limits to how much one can learn on one’s own. Indeed, as a postdoctoral fellow in old master prints at the National Gallery of Art, I felt I was learning more valuable lessons about drawings by looking at them and talking with mentors than I could through reading alone. Connoisseurship, I quickly realized, is not an individual sport. Now, I oversee all early modern prints and drawings in our substantial collection, ranging roughly from the fourteenth to the nineteenth century. 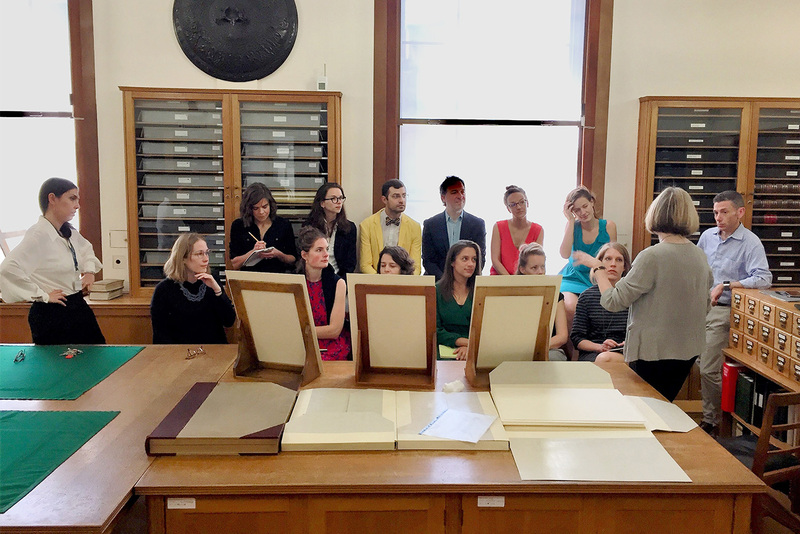 The opportunity to broaden one’s knowledge in response to one’s collection is undoubtedly one of the most thrilling and enriching aspects of the curatorial profession. This sense of excitement, though, can sometimes be accompanied by one of daunting responsibility. 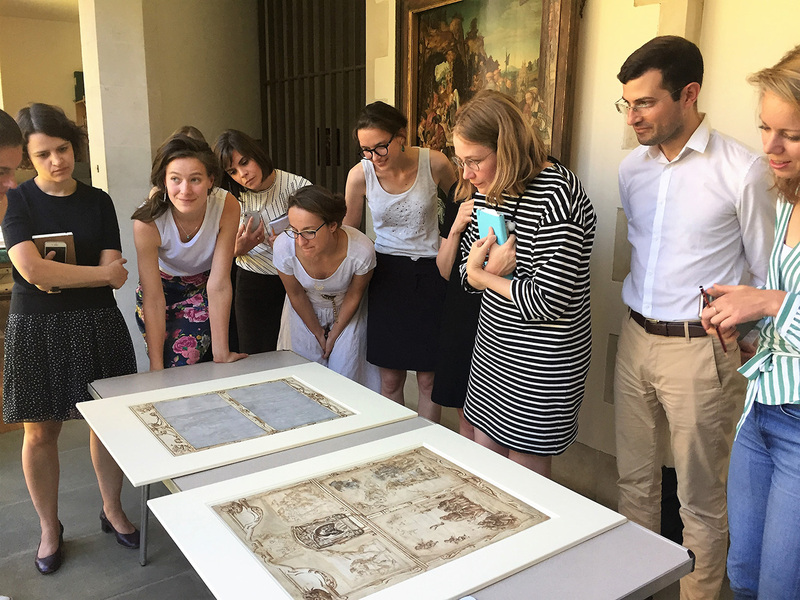 So, it was timely news that, as part of its initiative The Paper Project: Prints and Drawings Curatorship in the 21st Century, the Getty Foundation would be supporting a 10-day traveling seminar in and around London in June 2018 that would bring early-career professionals together with senior curators to foster connoisseurship and an understanding of the art market for old master and nineteenth-century drawings. I was eager to connect with colleagues who, like me, were just entering this relatively circumscribed, but wonderfully rewarding professional field, and to do so in a small seminar where we could look closely at and discuss drawings as a group. Shrewdly and meticulously organized by John Marciari and Jennifer Tonkovich of the Morgan Library & Museum, the seminar brought together 12 young curators of works on paper from Europe and the United States to discuss some of the issues, challenges, and opportunities we face as keepers of collections of drawings. It was an even richer experience than its densely packed program would have led one to expect, and while the process of digesting and reflecting upon the extremely stimulating days we spent together has only just begun, I offer here some thoughts on what I’ve learned, and insights that are already informing my work. Ours was undoubtedly an intensive course. 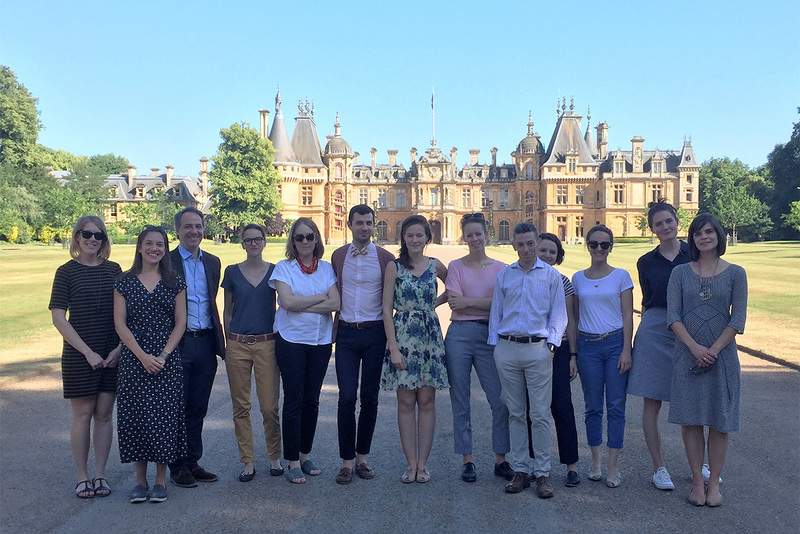 In just nine days the group visited collections in Oxford (Christ Church College, the Ashmolean Museum), at Waddesdon Manor, at Windsor Castle, and in London (the British Museum, the Courtauld Institute, and a private collection). 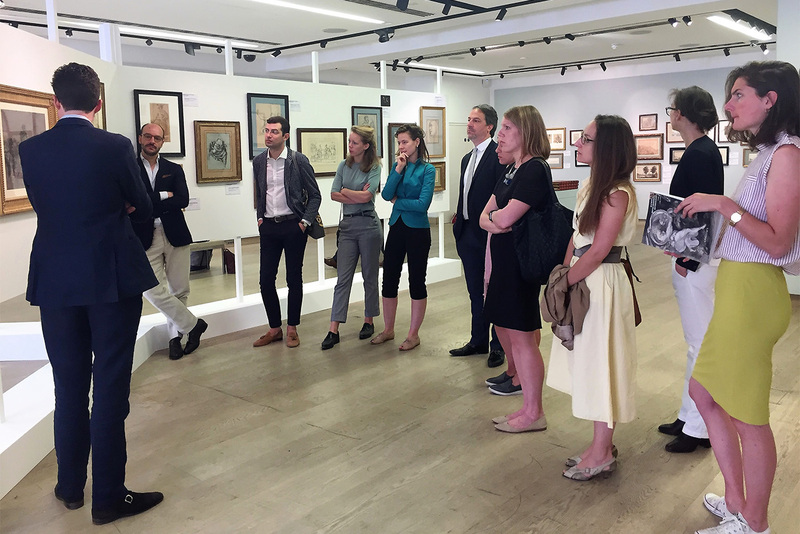 Importantly, we also visited and talked to a number of experienced drawings dealers in London, who told us about their careers and openly discussed their strategies and perspectives on buying works on paper. 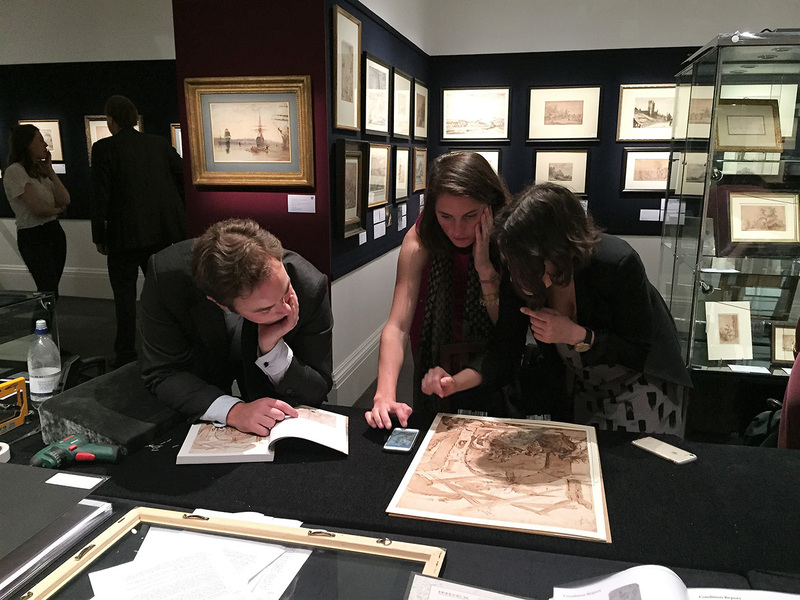 In addition, drawings specialists at both Christie’s and Sotheby’s took time out of their busy schedules to tell us about their work and walk us through the previews for the July sales. While each visit had a different focus, a number of key themes kept emerging that tied together the various sessions and provided us with a more rounded view of our field. and, finally, the dreaded issue of fakes and forgeries. Again and again, the need for a healthy dose of skepticism emerged as the basic starting point. This was both refreshing and encouraging. No matter how authoritative the received wisdom on given works may be, we were encouraged to evaluate the grounds upon which opinions were formulated, and to test those opinions against the visual evidence—what we saw as a result of close looking. A corollary was to always “start from scratch” when forming our own opinion, building a rationale that can be clearly communicated. That is to say, it is not enough to say, “I think this is Michelangelo”: we have to be able to explain our reasoning and point out the evidence that led us to that conclusion. The history of collecting, and the importance of knowing how different collections were shaped, was also a prominent subject. Such knowledge allows us to place our own collections in a larger cultural and historical context, but also to steer our decisions and priorities when it comes to expanding those holdings. 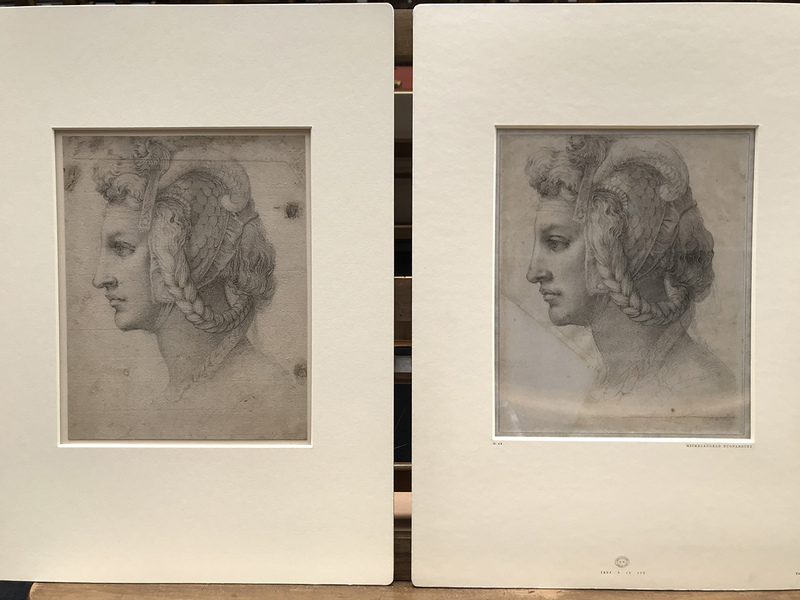 This, of course, tied into a number of conversations about the market for old master drawings. While it seems undeniable that drawings are becoming more expensive—and at a pace which some institutions find challenging to match—there was disagreement on whether the overall quality of what is available is declining. We all agreed, however, on the need to diversify our collecting strategies—for instance, by looking beyond the artists, schools, or genres that have traditionally been acquired—while remaining sensitive to our institutional missions. Focusing on quality, regardless of desirability or popularity, was a recurring answer to these quandaries. At all times, but especially in a competitive market, we should focus on acquiring well. Underlying all this guidance was the push to make use of the resources—both scholarly and human— that are available to us as young curators. And to not be shy about using them. As the seminar clearly proved to us, building relationships with colleagues, dealers, collectors, and experts in the field is of invaluable importance. However scattered across the map our institutions may be, none of us operates in a vacuum: communication and collaboration not only strengthen our confidence and sense of community, but also lead to better scholarship and contribute to the development of best practices. 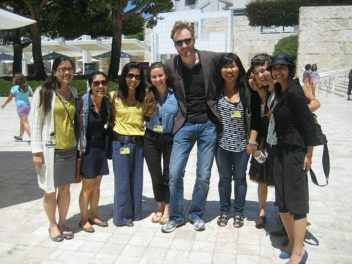 While physically fatigued, I came out of the seminar feeling intellectually energized. 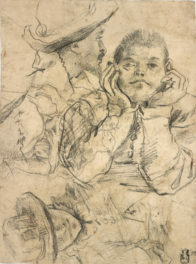 The experience has given me the confidence, as well as tools, to move forward on a three-year research project—partly funded by another generous Paper Project grant from the Getty Foundation—that will lead to an exhibition and digital publication on the RISD Museum’s collection of early modern drawings. 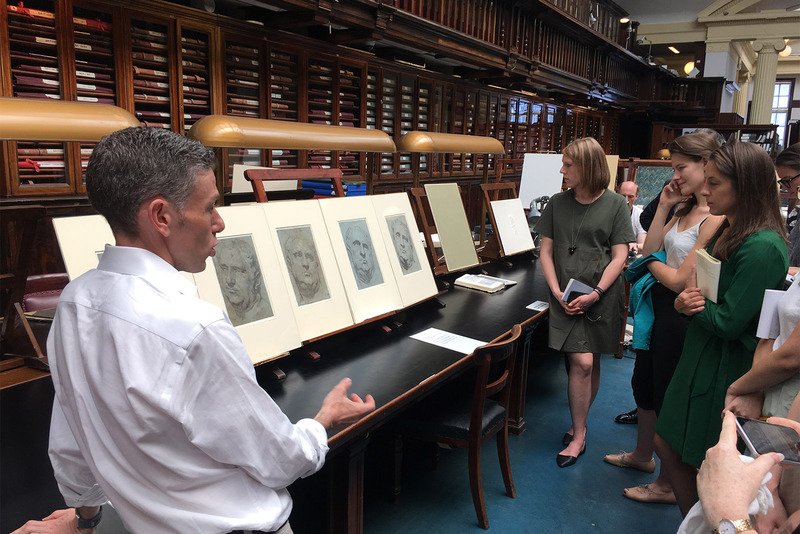 Developing the exhibition is the perfect opportunity to immerse myself in drawings research and scholarship, and to learn firsthand what curating a drawings collection entails. As I begin the process of reassessing our holdings, questioning the standing of some works, seeing others in a new light, and evaluating opportunities to expand our fine collection, I have no doubt that the lessons learned during our traveling seminar will inform my progress. Having met some extremely knowledgeable and passionate young curators of drawings, I also feel like our professional field is moving in a positive direction. The closely related field of print studies is experiencing a renaissance, and there are signs that the same is happening with drawings. Entire areas of drawing history, such as the Neapolitan school or the broader seventeenth century, are only now starting to be explored; others await a fresh reassessment. 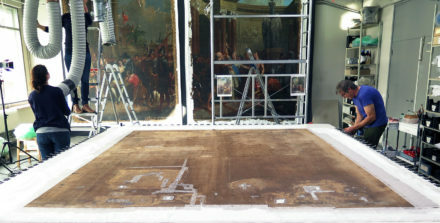 In addition, a renewed interest in materials, in artistic process, and in the history of collecting make drawings an obvious arena to conduct exciting new research. I am certain that more opportunities like the one we just had will encourage more people to join the field, give them the confidence to grow, and provide the foundation on which to become confident and creative leaders in prints and drawings curatorship in the twenty-first century.